Curated by Fox News chief Washington correspondent James Rosen, a Buckley protégé and frequent contributor to National Review, this volumes heds light on a tumultuous period in American history—from World War II to Watergate, the “death” of God to the Grateful Dead—as told in the inimitable voice of one of our most elegant literary stylists.William F. Buckley, Jr. is back—just when we need him most. When I saw this book, I knew I was going to have to read it. William F. Buckley is one of my favorites but the fact that James Rosen edited it, clinched it for me. 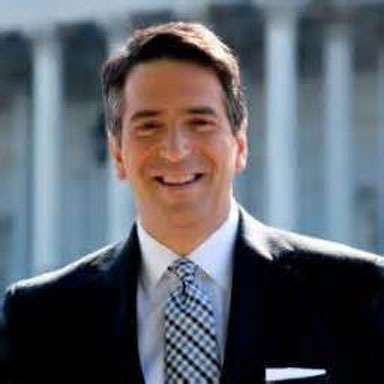 I'm a huge James Rosen fan and knew that he would add greatly to this book and I was right. The book is worth reading for the introduction written so well by Mr. Rosen. 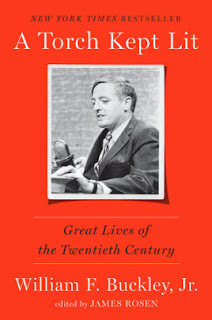 This is a book of eulogies written by Mr. Buckley for friends and people of note. They are eloquent and informative and make for great reading about some of the well know, and not so well-known, people. The book is divided into six categories - Presidents, Family, Arts and Letters, Generals, Spies, and Statesmen, Friends; and Nemeses. I enjoyed having the eulogies categorized like this as it made for easier reading about certain people. The thing that really stands out to me about the writing of Mr. Buckley is he tried to say only kind and positive things about the people he wrote about. This included those he really didn't care for. It's a very positive thing to see something written like this. It would be nice to see this kind of journalism today. I absolutely love this book and it has a permanent place on my book shelf. I know I will return to this book again and again when I want something great to read. It's a wonderful book and I highly recommend it. I give it 5 out of 5 stars.